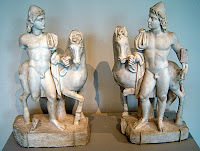 A member of the department sent me details derived from when the pair passed through the Royal-Athena Galleries (Art of the Ancient World XII  no. 12): "The provenance of the two Roman works on loan to the Museum is well known and published". 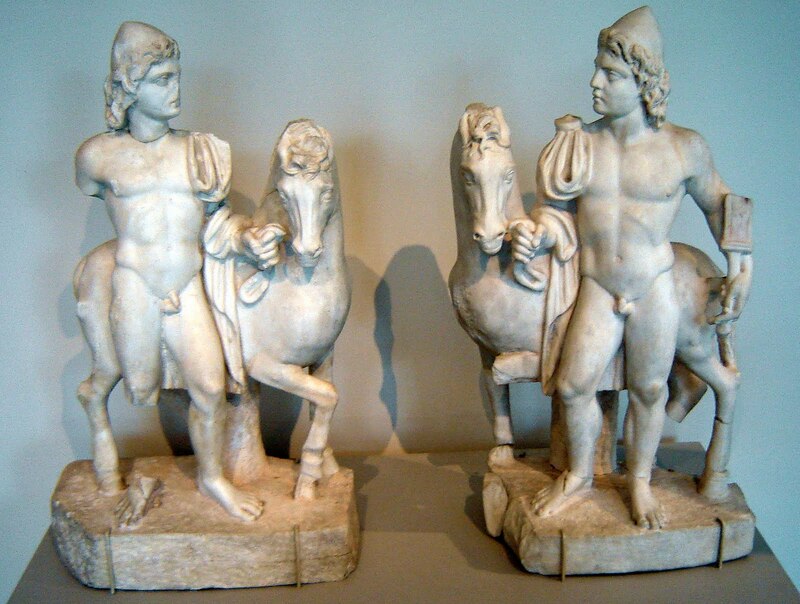 The catalogue informs us that the statues were "probably from the Mithraeum in Sidon, excavated in the 19th century". The collecting history is laid out: "ex private collection, Lebanon; Asfar & Sarkis, Lebanon, 1950s; George Ortiz Collection, Geneva, Switzerland; collection of an American private foundation, Memphis, acquired in the early 1980s". At some point the statues passed through the Merrin Gallery where they were published by Cornelius C. Vermeule, in Re:Collections (Merrin Gallery, 1995). I have now asked a further question ("What is the basis for saying that the pieces were in a Lebanese private collection, and that they passed through Asfar & Sarkis in the 1950s?") and await a reply. What is the authenticated documentary evidence to show that the pair of statues were in an anonymous private Lebanese collection and that they were handled by Asfar & Sarkis in the 1950s? Were the statues complete in the 1950s? Or were they restored in the subsequent decades? Were the statues found at Sidon? Have any other dealers handled the statues? If so, when? As this collecting history information is said to be "well known and published", I look forward to receiving a response in due course. H. 61 cm (left), 63.5 cm (right).